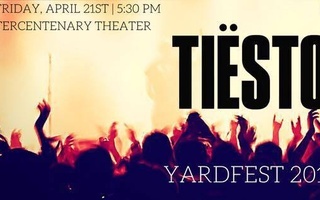 UPDATED: March 24, at 5:50 p.m.
Rappers Wale and Lil Yachty will headline this year’s iteration of Yardfest, the College’s annual outdoor spring concert, the College Events Board announced Thursday evening. 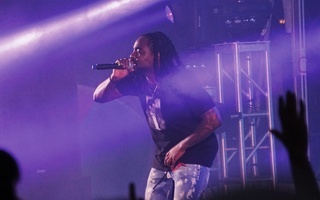 Wale, a Washington D.C. native, is known for songs like “Bad” and “The Matrimony,” and has released five albums since 2009. Lil Yachty is known for “iSpy,” which peaked at the #4 spot in the 2017 Billboard Hot 100, “Broccoli,” which reached #5 on that list, and “One Night." 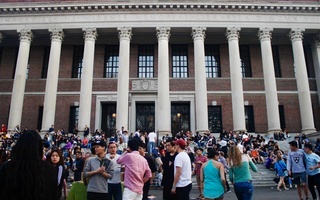 Student performers 21 Colorful Crimson and Disco Band will open for the rappers after winning CEB’s “Battle for Yardfest” event Thursday evening, which drew students to Sanders theater to watch ten musical groups compete for the opener spot. 21 Colorful Crimson comprises seven performers from the class of 2021, while Disco Band is made up of 13 artists. Grammy-award winning DJ Tiesto drew hundreds of students to last year’s Yardfest, despite overcast clouds and a rainy forecast. Recent headliners have also included DJ Steve Aoki, Jessie J, Janelle Monáe, Sara Bareilles, and Tyga. 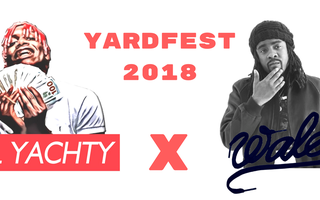 A previous version of this article incorrectly indicated that Disco Group will open for Wale and Lil Yachty at Yardfest 2018. In fact, the group opening for Wale and Lil Yachty is named Disco Band. By inviting two rappers, the CEB bucked the electronic dance music trend that characterized the 2016 selection of Steve Aoki and the 2017 pick of Tiësto​.